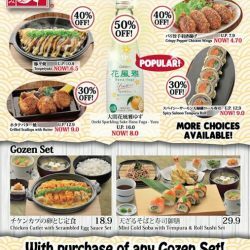 12 - 15 Dec 2016 Watami: Reopening Promotion at Junction 8 – 50% Cashback Voucher! Join in the celebration of Watami's new shop reopening at Junction 8 with the launch of 50% Cashback promotion from 12 December to 15 December 2016 (next Monday to Thursday)! With every $10 spending, you get to receive one $5 voucher! 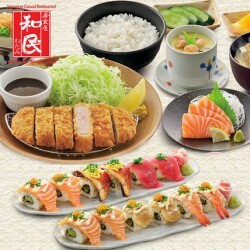 Dig into a wide variety of new Japanese delicacies, exclusively available at Watami Junction 8. Get excited with a new promotion exclusively available at Watami ION Orchard! The celebration of the annual Food festival continues at Junction 8 Shopping Centre! Purchase any of our Deluxe Gozen Set (Z9 - Z16), and enjoy our Value Gozen Set (Z1 - Z4) at 50% off! 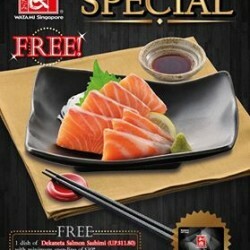 Mention the promo code "Watami's Gozen Special" to our staff to enjoy this promotion. It is the time of the year again! In conjunction with The Great Singapore Sale, we would like to introduce our Stamp Card promotion, starting from today to 31 August 2016! Receive one stamp with every $20 spent, and enjoy a treat with every 4 stamps collected! Start collecting your stamps today and enjoy $50 off your next bill with 20 stamps collected! 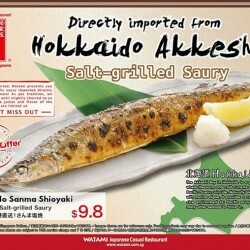 This promotion is available all day, at all Watami Singapore shops. 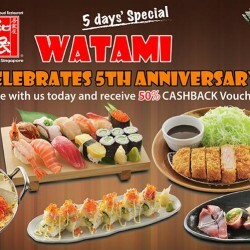 Watami at ION Orchard turns 6 in October! Celebrating this special occasion, this hot Japanese restaurant is giving away Watami Cash Vouchers AND are also taking reservations! From now until 29 October from Sun to Thurs, reservations made within this period can receive one $10 Return Cash Voucher with a minimum spending of $50* per bill. WATAMI Group established in 1984, started off in the dining-out restaurant business with the key concept of providing a place for all occasions. Now, Watami already have operations in HongKong, Shanghai, Taiwan, Guangzhou, Malaysia and of course Singapore! We Singaporeans love to eat, this is our unique way to enjoy life and treasure happiness in the world. 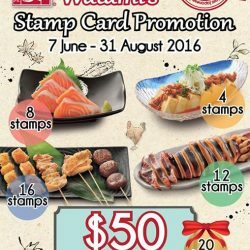 Now, enjoy Singapore’s best loved Japanese brands: WATAWI Japanese casual restaurant - $35 for $50 cash voucher, valid daily at 2 outlets. 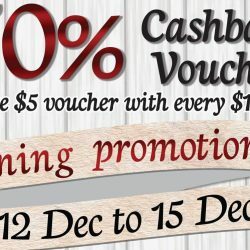 You may consider making reservations a few days before your meal:) Order the voucher from deal.com.sg now! From 23 Feb to 31 Mar 2015, redeem a free dish of fresh and thick slices of Dekaneta Salmon Sashimi with a minimum spending of $30! Simply present your VIP Card to enjoy this exclusive promotion. For a limited time only, Sanma is available as Lunch Set @ $9.80, includes a mini salad and a drink and À la carte dish at #02-16 WATAMI The Star Vista. 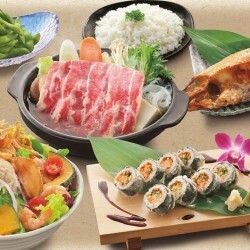 Feast on teppan sirloin steak,Okonomiyaki, ramen in special pork broth, and more with price ranging from S$5.8! 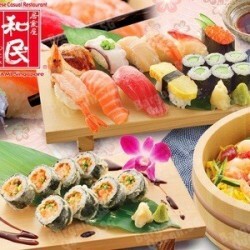 Watami Japanese Casual Restaurant is offering their $50 cash voucher for $35 only on Groupon. Redeem now to enjoy up to 30% off. Valid till Feb 27, 2015. 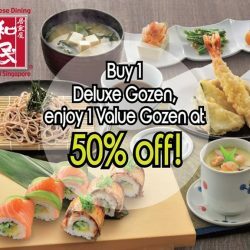 Watami Japanese Restaurant offers 50% cashback vouchers off the total bill when you dine at any Watami outlet in Singapore! Until 31 Oct 2014 only.